Both pregnant, Winetta Tigg, 32, (left) talks with her 17 year-old daughter (seated) about their experiences and what to expect. With them is Winetta's third child, Terrion (upper right), and neighborhood kids. Tigg's other daughter was adopted after Tigg lost custody on neglect charges. Now clean for a few months with prison and gang life behind her, Tigg spends her time working on her degree and educating parents about gang awareness. 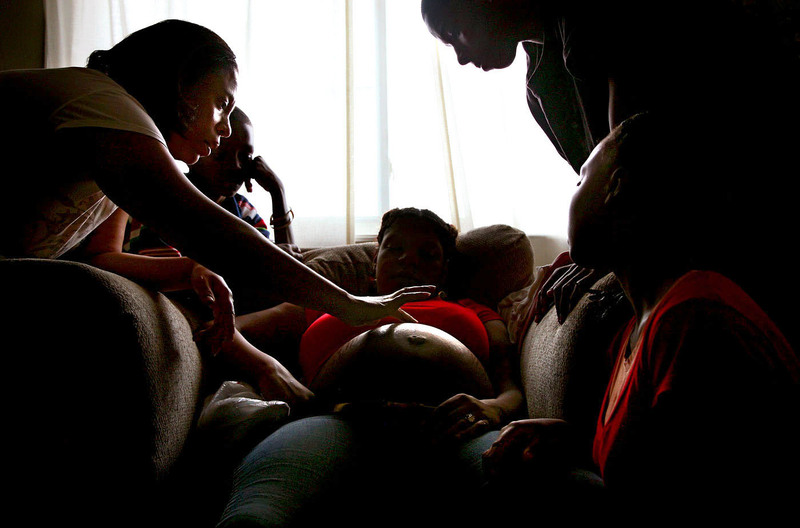 She's determined to keep her life straight and break the cycle for Terrion and her next child. "If my child doesn't trust me, he'll run to the street. The more I do better," she said, "the more they want to spend time with me."